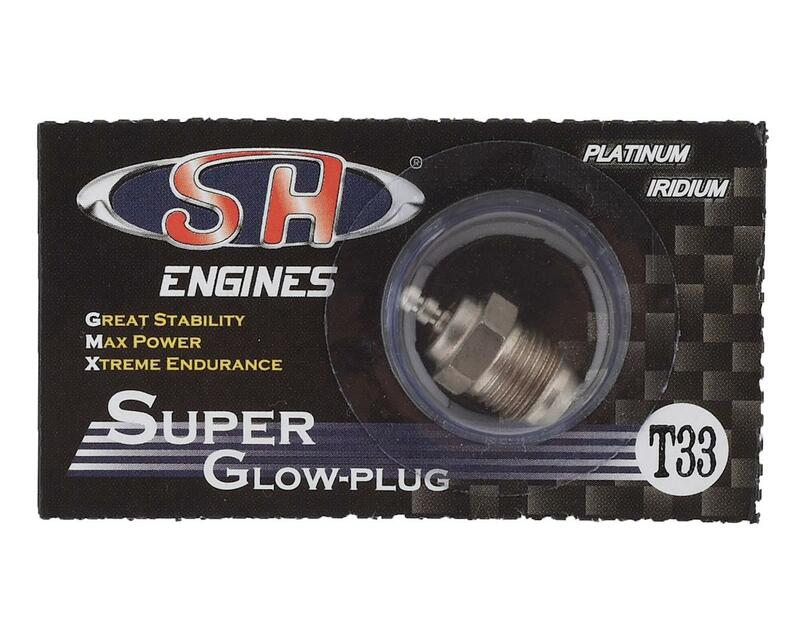 The SH Engines T3 Turbo Glow Plug is a "Hot" plug recommended for .12 to .21 size engines running 10 - 36% nitro in cold weather conditions. SHESE006TS0: T3 Turbo Plug, "Hot" plug recommended for .12 to .21 size engines running 10 - 36% nitro in cold conditions. SHESE007S0: T4 Turbo Plug, general purpose "Medium" plug recommended for .12 to .21 size engines running 10 - 36% nitro. SHESE008S0: T5 Turbo Plug, "Cold" plug recommended for .12 to .21 size engines running 10 - 36% nitro in hot conditions.